Ever wondered how Angelina Jolie got those plump lips? Ever wished for that cutie you’re crushing on to grab and kiss you? Then read this. 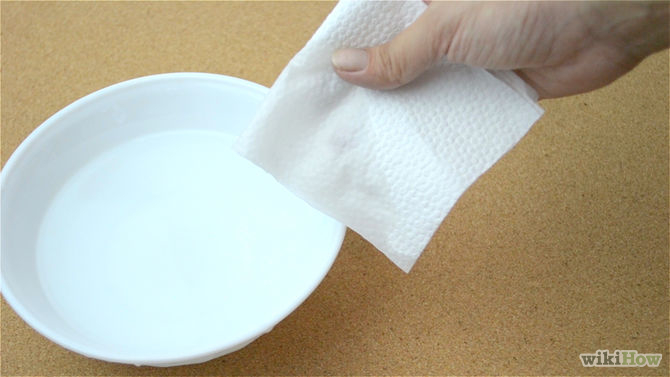 Fold a tissue in half and run it under water. Squeeze it so that it is not soaking, but moist/damp. Run it over your lips. This will moisten them. Apply Vaseline or petroleum jelly. This will moisten and soften your lips. Press your lips together for 15-30 seconds. Make sure the Vaseline/petroleum jelly is well absorbed. Blot out by kissing off the excess lipstick on the back of your hand. DO NOT use a tissue for this, as little bits could stick to your lips. Apply a thicker coat of lip gloss. This will give it shine. Get some moisturizer (the thicker the better). After you’ve brushed your teeth at night, put the moisturizer on your lips, rubbing it on them and a little bit around your mouth until you cant see it. Then, get some more and dab a thick layer onto your lips so your lips look white (the color of the moisturizer). Leave it on overnight, and during the night it will soak into your lips and dry, leaving them smooth, soft and perfect.Also if you don’t want to use moisturizer, you can apply a thick layer of vaseline/petroleum jelly to your lips before you go to sleep. People who get their lip pierced always wonder how to take care of their new ornament without getting an infection. Here’s how. NOTE BEFORE GETTING PIERCING: The best piercing for the lip is a inner-threaded stud. Rings can migrate and cause problems. Non-inner-threaded studs/rings can be uncomfortable and are usually not made of the same high-grade material. The piercing should heal in 6 to 8 weeks. After that time period you don’t have to clean it that often. Your lip will get swollen but that’s normal. 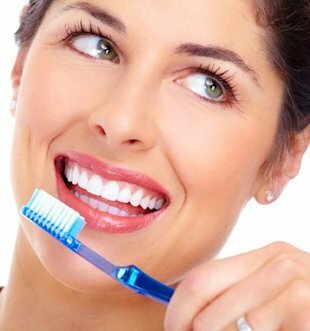 Clean your lip after every meal and make sure you brush your teeth also. Grab a Q-Tip and soak one end in a warm water/sea salt mixture and gently rub around the piercing in your inner and outer lip. Then use a small amount of the nonalcoholic mouthwash normally. Your lip will get crusted blood on it just make sure you wash it all off. Keep cleaning for 6-8 weeks and it will heal up quickly. Be sure to clean your piercing so it won’t get infected. Clean your hands and lip before touching it. Don’t play with the ring too much. It may cause unnecessary swelling. It is advisable to rotate the ring at least twice a day. Use mouthwash 2 times a day. Be careful when taking it out. If you decide you don’t want the piercing, just simply take it out and the hole will close on its own. It is recommended that you do not pierce your lip by yourself. Have a professional do it. If you do it at home or by yourself be sure to have someone who has the proper piercing tools and the experience. A beautiful smile can brighten up your day! Soft and pink lips are the ones responsible for this. Chapped and dry lips are embarrassing as well as extremely unattractive. The lips form the most delicate part of your body and it requires special care. The skin on the lips has three to five cellular layers that do not contain sebaceous glands. Therefore it is very important to have a nutritional diet and regular exercises to keep yourself looking health. It has been noticed that smoking has a bad effect on lips making them black, chapped and wrinkled. The most common reason of cracked lips is habitual licking and biting of the lips. With a constant use of balms, gloss and oil, your lips can be made be made supple and flexible. From this, it can be seen that lip care does not comprise of a single task, but a series of activities that need to be performed on a regular basis to get fruitful results. Read this article for an insight on some of the best ways to take care of your delicate ‘kissables’! Coping with environmental and climatic conditions always leave the lips looking chapped and dull! This is a common factor that leads to public humiliation. The use of lip balms is very effective as the lips undergo severe damage during the winters. Using petroleum jelly with SPF is a sure way to protect your lips in all seasons. The application of lip gloss not only gives your lips a soft feel but it also gives it a luscious and full appearance. Lip gloss is a great way to bring about change in the way your lips look and add a touch of style too! It is one of those products used for adornment. There are plenty of lip glosses available in the market with different flavors that can cater to individual needs of customers. Lip care is an integral part of body care as it contains sensitive tissues. It is true that lips can take a lot of wear and tear. But this is exactly why they deserve special attention too. It is a common sight that when the lips lose hydration, they become chapped, dry and black. To avoid this, consumption of fibre and fruits are essential along with plenty of water. There are several home remedies to get rid of dry and inelastic lips. 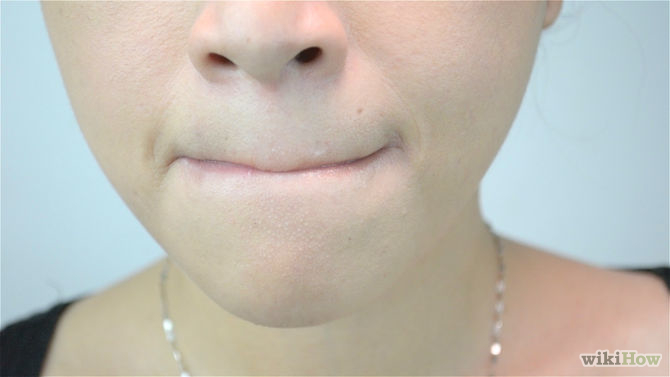 When the delicate upper and lower parts of your lip lose moisture, they tend to split and on most occasions, bleed too. If you apply honey, coconut oil or almond oil on a daily basis then you’re sure to acquire gorgeous looking lips! The desire to look attractive is so deeply rooted in people, especially women, who are taking every possible step to enhance their beauty. Lip augmentation surgery is a kind of cosmetic technique which involves its enlargement and fullness. Lip tattoos originated from the ancient African and Mediterranean cultures. It is a primitive body art that has been performed on women to give their lips a new and perfect look. Lip shapes and sculpting are experimented with during this procedure. People are becoming increasingly familiar with the idea of body piercing, especially in the lip and tongue region. In a typical lip piercing, penetration is done with the help of a needle in an area surrounding the lips. This was initially practiced among the African tribes, who wore ornamental lip plates on their lower lip. Applying lipstick is an art! There is a certain technique that involves drawing out the lip line and filling it with color or gloss. Many women take the short route out and ignore this technique, but it is one of the most aesthetically significant features. By following these tips you can make your lips look soft, luscious, pink and attractive. Try them and let us know what you think! Cosmetic lip tattooing is not a new trend! During the ancient age, this form of art was practiced by women particularly in ancient Africa and the Mediterranean regions. But the modern era has seen the rise of women who perform this procedure to make their lips more attractive and in order to enhance their beauty. Soft and smooth lips are sure to enhance your beauty so much that you become the center of attraction! Being one of the most sensitive parts of your body, lip care should be included in your daily skin care routine. The problem of chapped, dry and cracked lips is quite a common phenomenon. Don’t we often get tempted by the luscious colorful thing called ‘lipstick’ that enhance the beauty of our lips and make them look so enticing? Lipstick is an object of desire for many women and occupies a significant place in their make-up kits. The lips frame one of the gentlest parts of your body. Owing to this, they undergo a tough time during the winters and dry seasons. Lack of moisture causes dry and chapped lips which eventually lead to lesions and bleeding. Terrible looking lips pave the way to embarrassment in public! Like eyes, lips are also important and attractive features of our face. 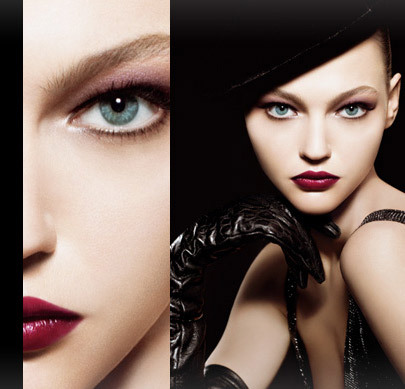 The overall look of your lips can add to your femininity and sensuality make you look sexier. This is why you need to take special care of your lips. Till now there is nothing available in the market that can hide your dry or lifeless lips. Lip gloss, lipsticks or lip liners look good only when applied on healthy looking lips. Just like you take special care of your face, feet or hands, you need to focus on your lips too. Lips are very sensory and highly sensitive to feeling and touch, which needs to be considered while applying anything on your lips. The protective layer of skin on the lips is very thin and does not have sweat glands which make them extremely dry. Without care, there will be cracks on your lips which can be really painful and can also develop infections. Before going to bed, you must clean your lips with a damped cotton ball. For cleaning you can use plain water or some makeup remover or cream. Use some oil and massage your lips very gently for five to ten minutes daily. It will improve the blood circulation and make your lips look healthier. If possible try to massage your lips at night so that it will remain soft all time next day. Always carry a cream having vitamin A and E in your hand bag. Whenever your lips get dry and chapped, apply some cream on them with the help of a cotton ball. After few minutes you can wash your lips. While going out put some good quality lipstick on your lips. Lipstick will offer protection to your lips against the damaging effects of the environment such as sun rays, wind, dirt, frost and dust. It will also keep your lips well moisturized and nourished. Make sure to drink plenty of fluids during the whole day to keep your skin well-hydrated. When your body is properly hydrated your lips will remain moisturized automatically. Also a healthy diet is necessary to have luscious lips. Your diet must include foods rich in vitamins A, B and C like green vegetables and juicy fruits. To get rid of the dead skin cells on your lips take a dry washcloth gently rub it over top of your lips. 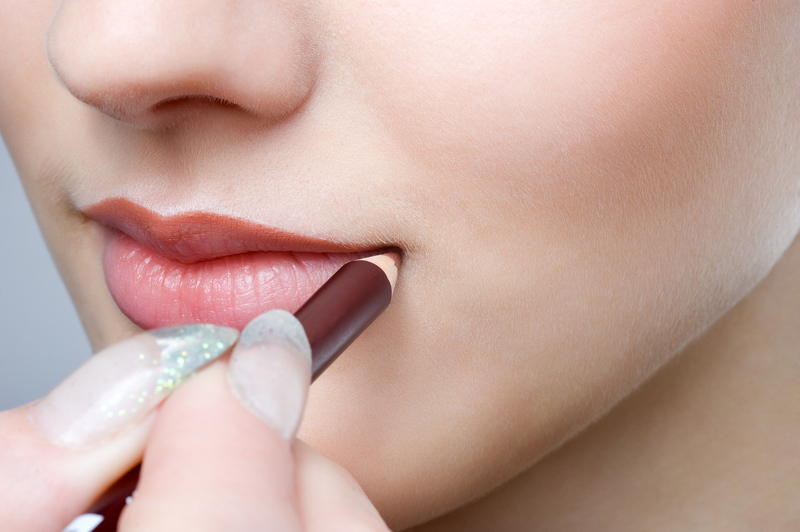 Always apply a lip balm that has sunscreen in it before putting on your lipstick. This will help your lipstick to stay for longer time and your lips will remain well moisturized. Stop smoking as it can darken your lips and make them extremely dry. You can apply cream from curds with saffron on your lips to make your lips pink in color. It is not at all a good idea to lick your lips as this habit can make the lips even drier and it will remove all the moisture from the lips. Make some effort to get rid of this habit. To cure dryness of your lips keep some petroleum jelly with you and apply it to your lips for instant relief from dryness. Do not make the mistake of peeling off the skin of chapped and dry lips. The skin on your lips is very delicate and pull off the skin can cause the blood to come out. First apply cream or petroleum jelly to make the skin soft and then with the help of a damp cotton ball remove the dry skin from your lips gently. So, no matter whether your lips are thick, thin, classical or plum, you must take care of them properly and very gently to enhance your overall look. Good and healthy lips will help you to smile more confidently. Keep Smiling! In winter, we lose plenty of moisture from our skin, and this is one condition, which is really impossible to avoid. The dry and cold wind conditions are such that it strips us of the natural moisture content that we generate, which makes it is essential for us to replenish the lost moisture externally. And lip care is just as essential as care for the rest of the body! Why is lip care essential? Most of us know that our facial skin is ten times thinner than the rest of the body and thus it contains oil glands for its protection. But the skin on our lips doesn’t contain oil glands at all. This is why during winters they become dry, crack and even bleed some times. Hence it becomes very important for us to take proper care of it. Let us now understand the reasons as to why we have chapped lips. 1. During winter season, cold and dry conditions contribute to chapping of lips as the surroundings tend to strip our skin of its moisture. 2. The older you get, the higher are the chances for lips to dry. 3. Biting and licking lips is the worst habit we usually have, which adds to dry and bleeding lips. 4. Constantly touching our lips using our hands also leave behind bacteria, which then could aggravate chapped lips problem. Follow the steps below to understand as to how you can take proper care of your lips. 1. The first step you should take to protect your lips is to hydrate them and nourish them well by drinking plenty of water. People usually drink more water in the summers compared to winters. But drinking the right amount of water in winters will also help you keep the dryness at bay. Water is the best way to keep your lips hydrated from the inside out. 2. It is quite a natural reaction to lick your lips when they are dry. But you have to leave this bad habit behind immediately, especially because once you wet them, the wind will dry it again and but obviously you will lick it again, and the process will never stop. This constant process will do major damage to your lips. 3. Cracked lips indicate that you have vitamin B2 deficiency. So make sure that your food contains enough vitamin B supplements. 4. For the winters, you have to select special lip balms with extra moisturizing agents. Find the best lip balms or chap sticks which provide more nourishment and have long staying power so that you lips can stay moist for longer. Carry it along with you always and apply on your lips whenever you feel that your lips are beginning to dry. It is better if your lip balm contains SPF in it. Choose lip balms with Jojoba oil, vitamin E and Shea Butter for the special season. 5. Now, if you have a habit of smoking, you have to quit! For it may be the main reason for your cracked and dry lips. 6. Exfoliate your lips with a good scrub or a small brush to remove the dead cells from time to time. 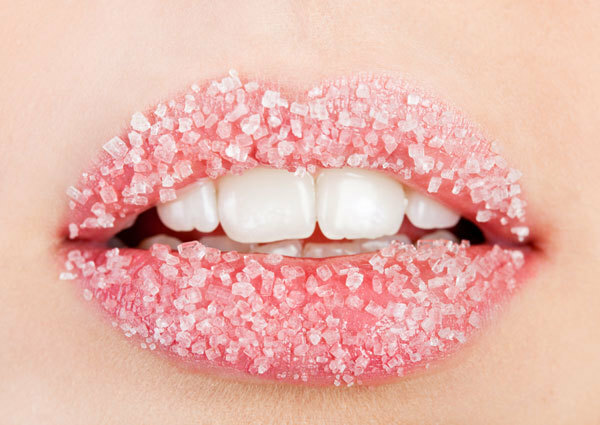 Sugar is the one of the best scrub for lips, if you want to take care of them right from your kitchen itself. After scrubbing, simply apply a good lip balm for best results. This will definitely make them extra soft and shiny for longer. 7. If you have a habit of using lipstick regularly, then choose lipsticks with moisturizing ingredients. And never ever forget to remove it with a good makeup remover before going to bed followed by applying a good moisturizing lip balm. 8. Avoid using balms containing glycerin, petrochemical products, alcohol, menthol and retinol in winter. These are only good for the summers. 9. If your lips tend to become extremely dry, then try applying ghee or honey during nights before going to bed. It is the best way to clean and moisture our lips. This is also well known remedy for dark lips due to sun exposure. 10. Another popular old home remedy to cure dry chapped lips is to press a green tea bag against your lips for 3 to 4 minutes daily to increases moisture level in them naturally. Lips are one of the most basic features that define your face and expressions. Your lips give the ultimate appeal to your face. But, if lips are such an important part of your overall charm then why do you pay such little attention on their care? Without proper care your lips can become dark and dull. To get a natural pink colour on your lips, it is very important to follow a proper lip care regime regularly. So, here are few effective tips that will help you get that natural pink colour. Massaging your lips every day is a very good habit that helps in lighten dark lips, in a short span of time. Make a lip balm out of almond oil and lemon juice, and massage your lips with that every night for a few minutes before going to bed. Here is an age-old home remedy of keeping your lips naturally pink and healthy. Apply a few drops of desi ghee or mustard oil in your belly button (navel), before going to sleep. Those who have dry, chapped, or dark lips will see visibly effective results if they follow this natural tip, regularly. It is very important to keep your lips hydrated and moisturised at all times. Dry and chapped lips look shabby and unkempt. When you are going out during the day, it is essential to apply some sun protection or petroleum jelly on your lips. If you are indoors then use some cocoa butter, which is an effective natural remedy for getting pink lips. 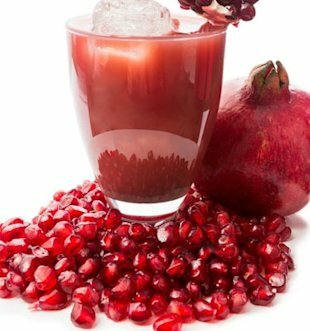 Crush the seeds of pomegranates and blend it well with milk cream. Now, apply it on your lips. This is one of the best homemade remedies for lightening dark lips. However, since it is a natural remedy, the change in the colour of your lips will not be overnight but gradual. So, be patient. One thing that most people tend to do when they feel their lips are getting dry and chapped is to lick them. Before you plan to do the same, it is best to hold that tongue back in your mouth because you are just going to make it worse for your lips. Avoid the temptation of licking your lips as it would just leave your lips more dry and dull. Smoking is one of the major reasons why your lips become dark and dull. Naturally, one of the homemade remedies for lightening dark lips also includes finding a motivation for quitting smoking. Besides, if you quit smoking, you will also be enjoying in terms of other health benefits as well, such as a longer life and healthy lungs. So, where is the harm, we say?